Well okay, I won’t say that it’s easy to land cheap Yankees tickets, especially if you would like to sit closer to the field with the wine and cheese crowd. You know, the people that Lonn Trost thinks don’t want you anywhere near them. Just in case you didn’t know the web address. Cheap Yankees Tickets, Tip #1) Use The Team Newsletter. You should subscribe to any team newsletter if you would like to see a game, but the Yankees newsletter especially is full of terrific offers. The team offers half-price tickets, discounts for kids and seniors, and even some $5 tickets for low demand games. There’s also specials on tickets for clubs like the Jim Beam Club behind home plate, and you can sometimes pay half the price for entry into the Jim Beam and other stadium clubs. Always pay attention to the newsletter before paying face price. A key benefit of fan club membership: ushers won’t pretend they can’t see you. Cheap Yankees Tickets, Tip #2) Yankees Universe. 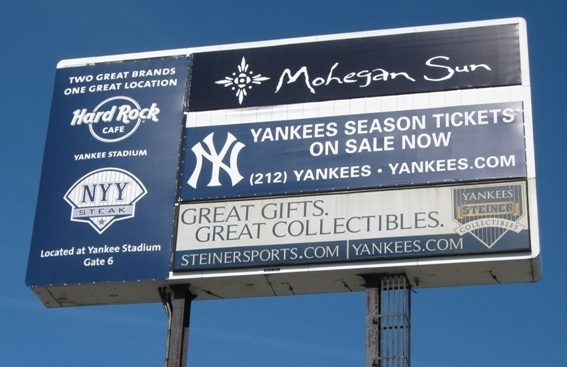 The Yankees have several levels of Yankees Universe fan club membership, with varying prices, but they all include tickets to a game that make it well worth the cost. The MVP level membership includes those nice padded field level seats, and the membership price is much less than the face price of the tickets would be. You get extra stuff with membership too, like a separate entrance to use (which is a great help), gear and bobbleheads, and deals on available premium tickets. And proceeds from membership sales go to the Memorial Sloan Kettering Cancer Center, so you’re helping your fellow humans too. The Yankees often celebrate the last year they sold $10 tickets. 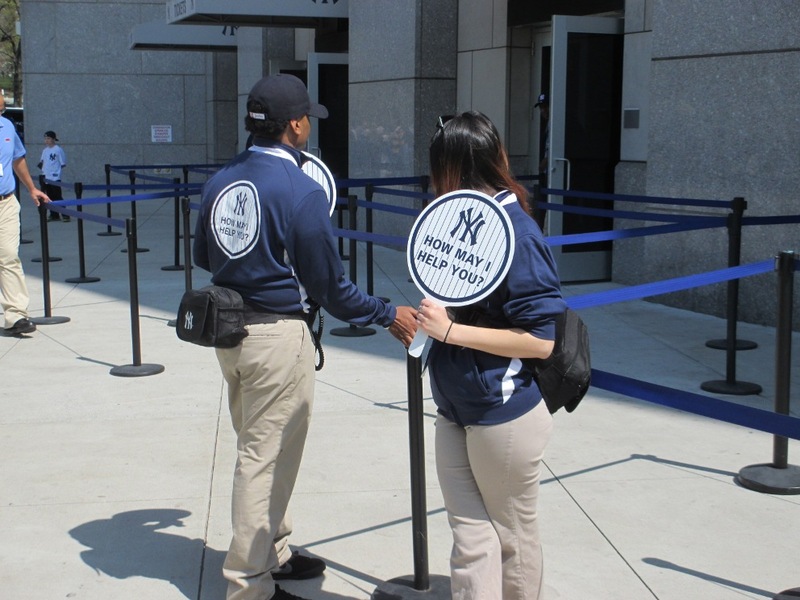 Cheap Yankees Tickets, Tip #3) The Pinstripe Pass. 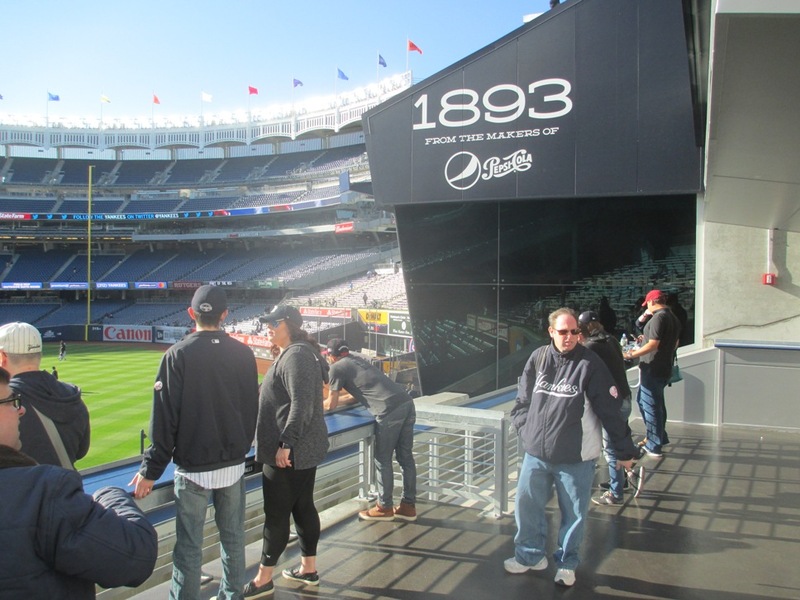 If all you want is to get into the stadium and socialize, the Pinstripe Pass is for you; it’s an inexpensive ticket and includes a free drink…which at Yankee Stadium drink prices, makes the ticket almost free. It’s a standing room ticket, but if you need a place to sit, the Bud party decks have some barstool seating, and the ushers aren’t too strict if you manage to find a spot in the upper Grandstand. There are also some bars throughout the stadium where you can sit, but you won’t likely have a view of the field. But hey, for the price, it ain’t too bad. 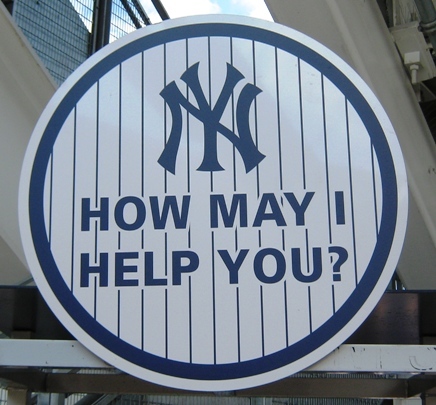 Can You Bring Food Into Yankee Stadium?